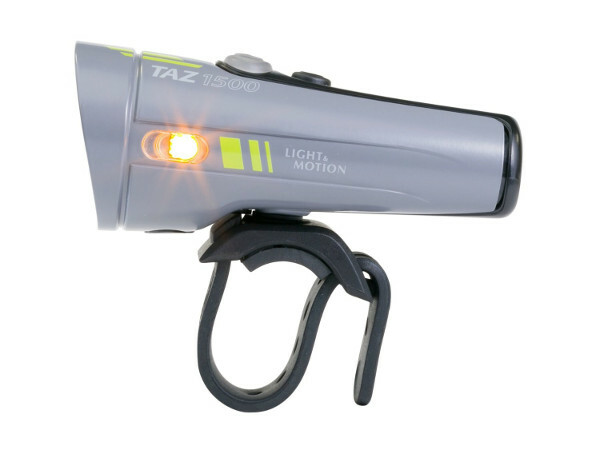 This all-in-one bike light, called the TAZ 1500 by Light And Motion, is the size of a fist. 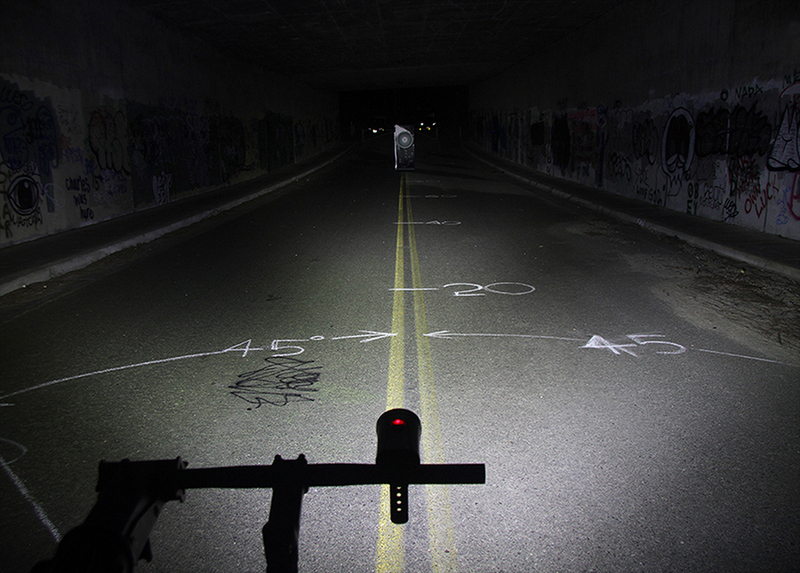 But it can produce an astonishing 1500 lumens of light — that’s brighter than some motorcycle headlights. We have been testing it for four months and are impressed with the build quality and performance. Its brightness can be lethal, so wield this light wisely. Pick up the TAZ and it feels very solid and at first a little heavy — the light is an American-made powerhouse that includes battery, housing and lighting element all in one. But despite its perceived girth, the unit weighed about 8 ounces on our scale; this is less weight than comparable blazers. While a reasonable choice for singletrack, the TAZ excels as a commuter or city riding companion. Pulsing amber side lights increase visibility, it mounts on the handlebar quickly, and charging via it’s mini-USB cable is convenient. When leaving the pavement, the side lights can be turned off. Tested burn time was just under 90 minutes on high and about 3 hours on medium, the latter of which provided plenty of light when used in conjunction with a helmet-mounted light (as we did). One feature we love: There is a race mode that allows selecting between just high and low brightness, conveniently skipping past the pulse and strobe modes. If you’re looking for a light that works well from commuting to late night trail sessions, the TAZ is worth considering. We’ve rode hard with it for months and It shows almost no sign of wear. For a hefty $299, You get bomber construction made in California, waterproof to 1m, a small size, no messy cords, tons of light, and great safety features. The only thing not to like might be the price — a bit steep considering you can get similar light output for half the price with products like the Magicshine MJ-872. Despite the asking price, we still recommend it. We have been burned too many times buying cheaper lights and now don’t flinch to spend a little more for something good.